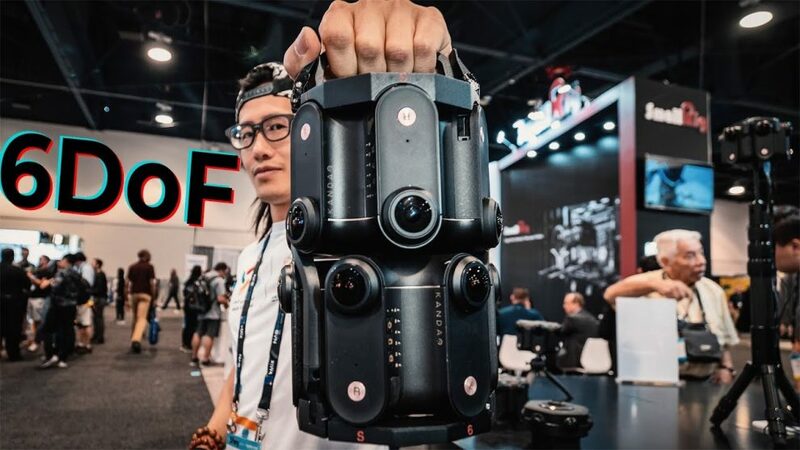 At NAB Show 2019, Kandao announced the Obsidian Plus, which uses a pair of stacked Obsidian R cameras to create what Kandao claims to be a 6DOF camera. Kandao also says that the Obsidian Plus can capture up to 12K video. Here is a quick video by Hugh Hou (CreatorUp). With 6DOF capture, a viewer with a VR headset will be able to move around in any direction (up, down, left, right) and the perspective should change accordingly. From my understanding, the volume of the 6DOF movement for the Obisidian Plus is limited to the size of the space between the twelve lenses, or approximately 1/2 the volume of one Obsidian R.
As for cost, Kandao did not announce it but one Obsidian R is currently $4199 (Amazon or B&H Photo), so the Obsidian Plus will likely be well under $10,000. I agree with Hugh that 6DOF is definitely the future, but I think a more accessible way to capture a 6DOF experience will be through photogrammetry. Besides being much less costly to create, it is possible to move around a greater area. If you want to experience what a 6DOF photo is like, try “Vesper’s Peak” from The Lab on Steam VR (for Oculus Rift, HTC Vive, or Windows Mixed Reality) as an example. I was kinda kidding about a 6DOF Qoocam. However, I do hope they are working on a Qoocam Mark II, because the higher resolution of their two competitors in that price range have left them trailing behind in term of IQ. At 1:35 till 1:45 in the video you see the camera is mounted on a very solid tripod with very small footprint. any info about the tripod?